With the warmer months here and you prepping for your forthcoming getaways with waxing, manicures, pedicures and all the other highly requested treatments. It's important to not forget skin care needs in Summer too! During summer most of us cannot wait to ditch the winter woolies and head outdoors to enjoy the warmer temperatures while they last. However, even a short amount of sun exposure has repercussions for our skin, both long term and short term. Staying safe in the sun is of the highest importance! Despite sun exposure being vital to the production of Vitamin D for healthy teeth and bones, it unfortunately also emits a variety of harmful rays - Therefore arming yourself with the best information and products is a must! 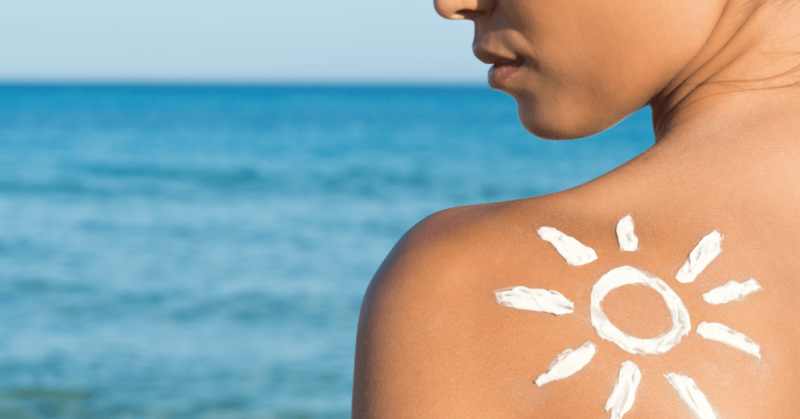 Despite an increasing number of campaigns raising awareness of the dangers of sun exposure and skin cancer, it appears that a large number of the population are still prepared to take risks. A recent survey conducted by YouGov on the nation's skin habits revealed that almost a quarter of us (23%) do not apply sunscreen during the summer or when on holiday, with men twice as likely as forego protection (31% vs 15%). Even though a golden tan may make us feel good, the darkening of the skin is actually the first indication of sun damage. Yet, UV exposure can also have longer-lasting effects which accumulate over time. These include contributing to premature ageing, with issues such as wrinkles, lines and sagging as well as the appearance of dark patches or spots on the skin, also known as hyperpigmentation. Victoria Schofield, Education Executive for Dermalogica - "Skin that is tanned is effectively damaged, and this will show as the year's progress. UVB causes an increase in the production of Melanin, which is the body's reaction to direct photo-damage from UV radiation. UVA radiation is an important contributor to the premature ageing of the skin as the wavelength allows it to penetrate deep into the dermal layers. Structural changes in the dermis are also caused by UVA which includes sagging, loss of elasticity, wrinkles and mottled pigmentation"
In order to help regulate and prevent any further damage to your skin, it's essential you use products that contain sun protection factors (SPF's). Two different levels of protection are available; SPF is the level of protection given against UVB, whilst UVA protection can be recognised through a star rating system or symbols on the product's bottle. 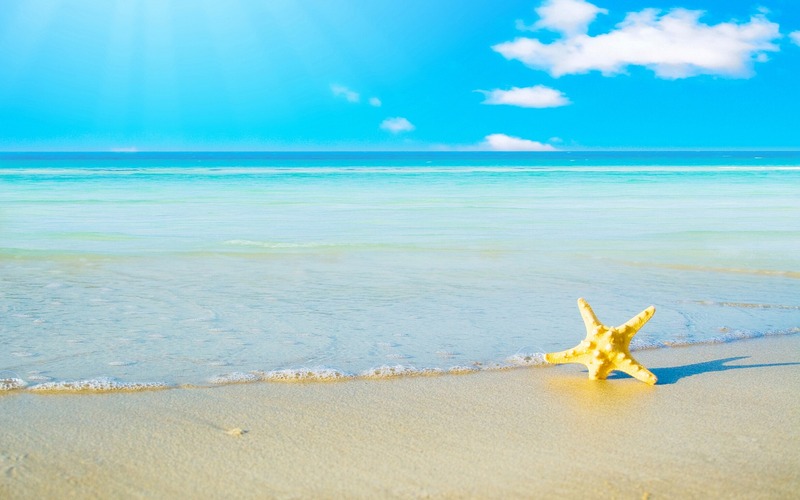 The EU has a minimum SPF of 6, allowable with the following classifications: SPF 6-10 low protection, SPF 15-25 medium protection, SPF 30-50 high protection and anything over 50+ is the maximum value and very high protection. 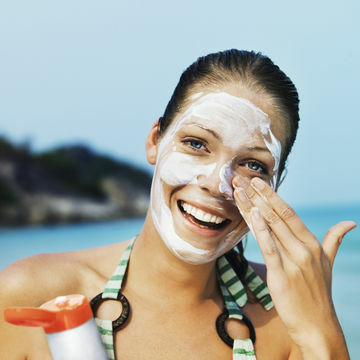 You may be unsure of when, where and how often you should be using sunscreen, but as a general rule, an SPF should be applied 30 minutes prior to sun exposure with reapplication throughout the day ( we would say every two hours) especially after activities that reduce it's effectiveness, like swimming, sweating and towelling. The NHS recommends two teaspoons of sunscreen if just covering the head, arms and neck and two tablespoons suggested if covering the entire body while wearing a swimming costume. It is also recommended to avoid direct sunlight during the hours of 11am-3pm and wearing a hat and sunglasses go a long way in protecting the skin from damage. Even though it is an essential item to pack for summer trips, it's highly recommended that SPF products should be used all year round; even on cloudy days, UV rays are still present. We recommend that you see SPF as 'daylight' protection, rather than 'sun' protection as SPF is arguably the most important product that should be worn on a daily basis! Have you met our SPF30 Primer? Protecting you from UVA, UVB and Infrared rays, whilst being a non-comedogenic (not blocking pores) and a makeup primer! Any topics or questions you want to be covered, get in touch!